Dormer, gables, and wrapping front porch give character to this narrow and cozy cottage. A fireplace is the focal point of the vaulted great room, while the kitchen opens up to the dining room and features a pantry and deck access. The utility closet is conveniently located in the bedroom wing where two secondary bedrooms share a full bath with dual sink vanity. 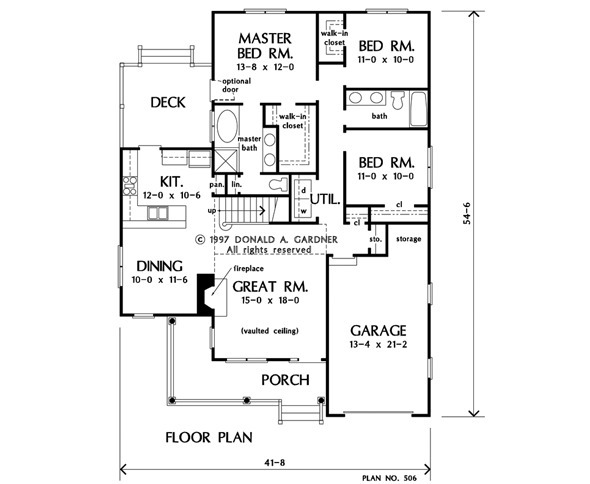 The master suite boasts an optional door to the deck, walk-in closet, and fully-equipped bath. 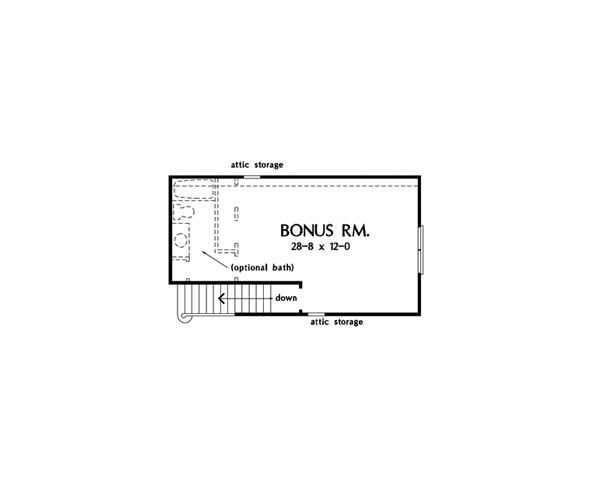 Bonus space is located upstairs and stands ready to perform a number of functions: home office, rec room, or fourth bedroom with bath. 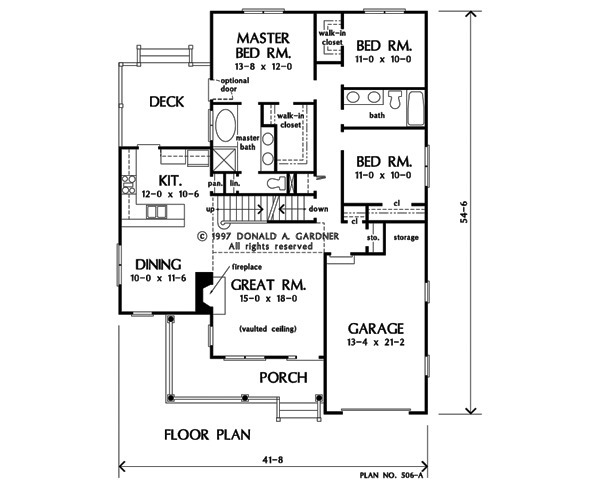 House Dimensions: 41' 8" x 54' 6"
Dining Room : 10' 0" x 11' 6" x 8' 0"
Great Room (Vaulted): 15' 0" x 18' 0" x 17' 0"
Kitchen : 12' 0" x 10' 6" x 8' 0"
Utility Room : 3' 4" x 6' 4" x 8' 0"
Bonus Room : 28' 8" x 12' 0" x 8' 0"
Garage : 13' 4" x 21' 2" x 0' 0"
Garage Storage : 5' 4" x 4' 4" x 0' 0"
Deck / Patio : 12' 4" x 11' 4" x 0' 0"
Storage (Other) : 2' 0" x 4' 0" x 8' 0"